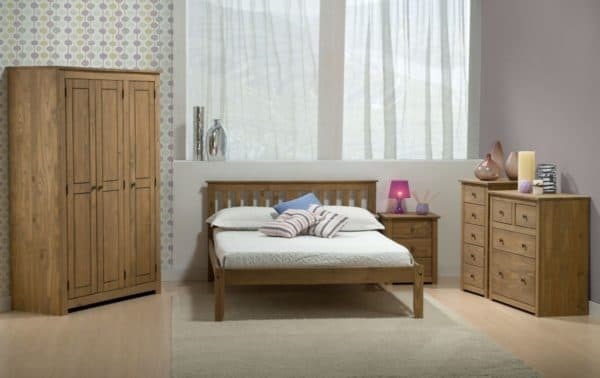 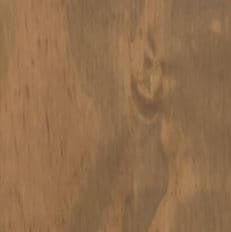 A demonstration of great craftsmanship, the Santiago Bedroom Collection is constructed from rustic wood to give it that desirable handmade look. 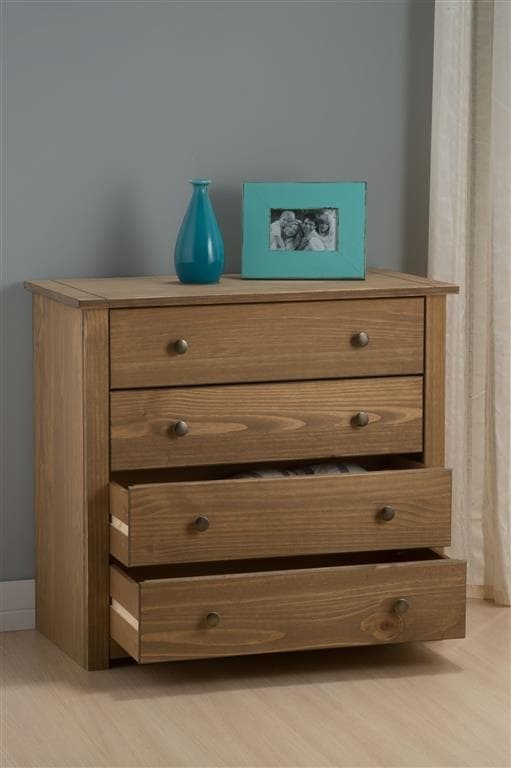 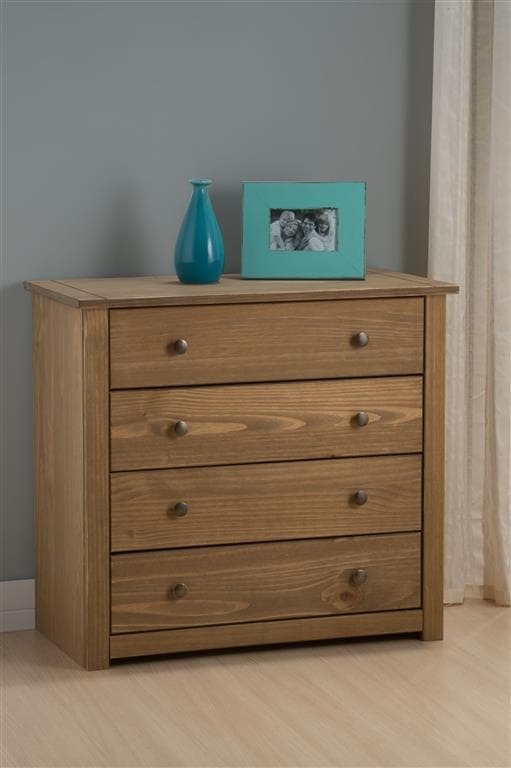 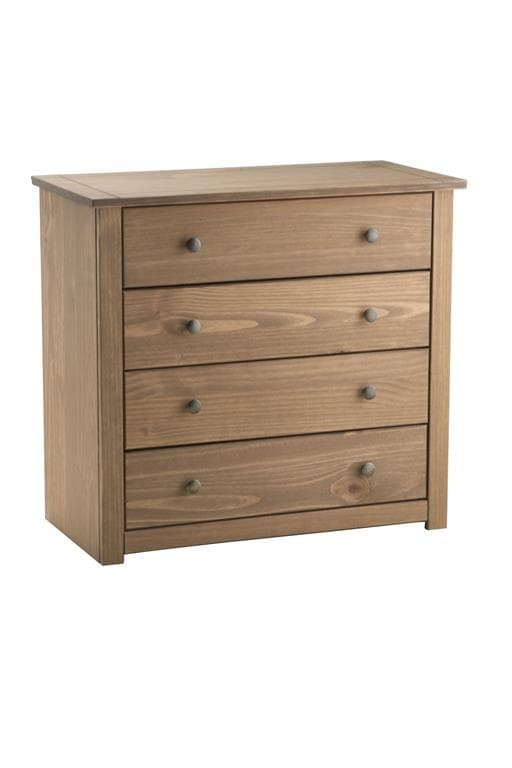 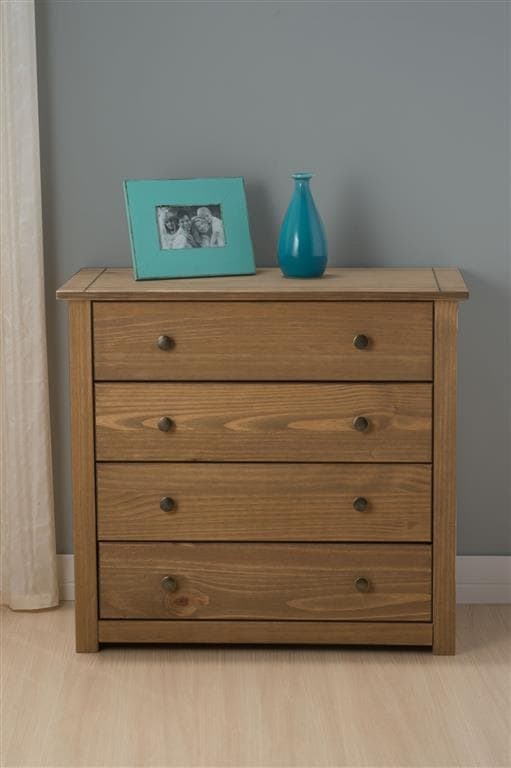 Constructed from solid pine with a distressed, waxed finish the Santiago four drawer chest features zinc alloy handles and wooden drawer runners. 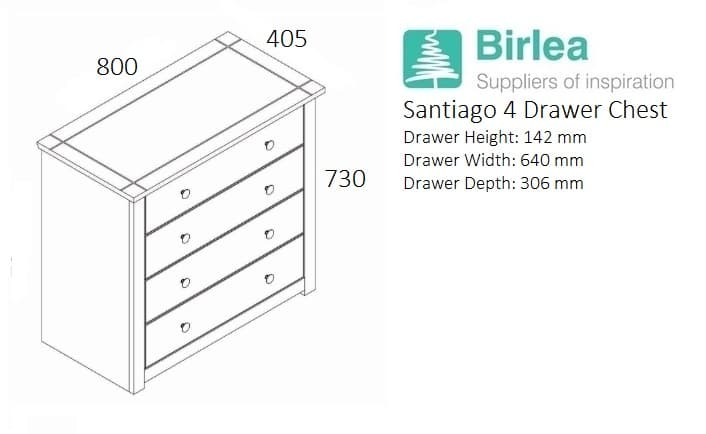 See more from the Santiago collection.